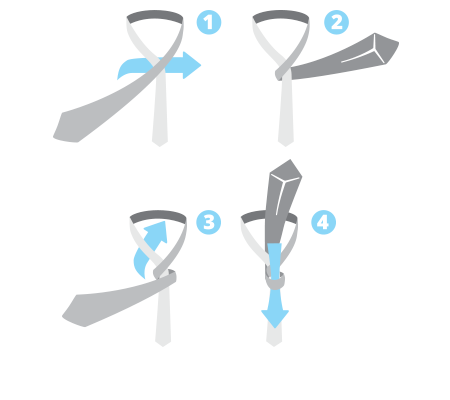 There are many different ways to tie a tie. 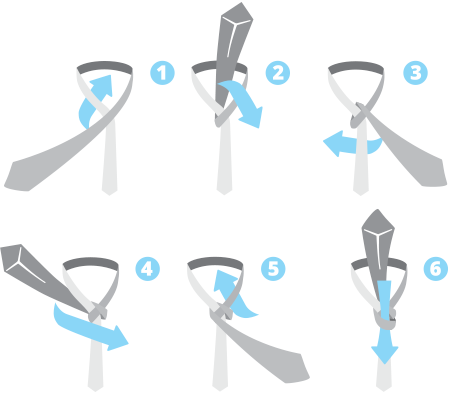 Below, we have displayed the five most classic tie knots. 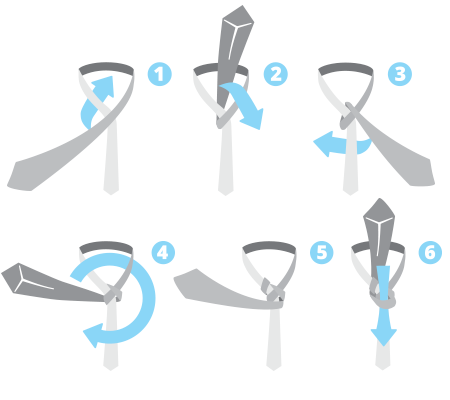 Read, practice and shine with stylish tie knots. And, do not forget that every knot should have a neat dimple as well. The dimple is the little hole in the tie which is visible just below the knot. 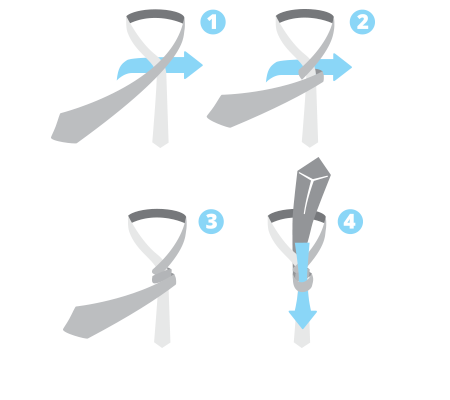 It is easily done by placing a finger in the middle of the tie under the knot when tightening and adjusting it. 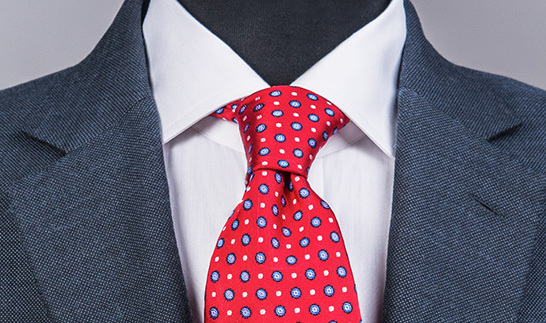 Elegant with attitude is the best description for this long, narrow and very popular tie knot. Tie it preferably with a visible dimple just below the knot to reinforce the self-confident appearance. 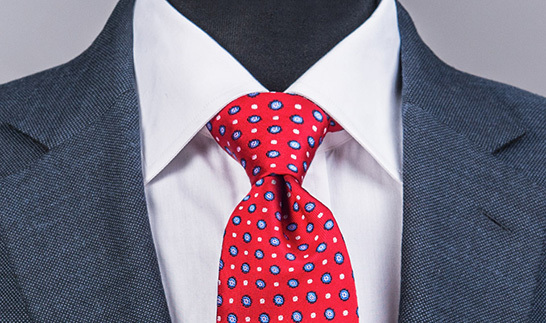 With its slender look, the four-in-hand knot helps to lengthen the neck portion. The knot is slightly skewed and asymmetrical which makes it an eye-catcher. It is easy to tie and goes well with a little thicker ties. It is a versatile knot that fits nicely to all types of collars except for collars with extreme spreads. 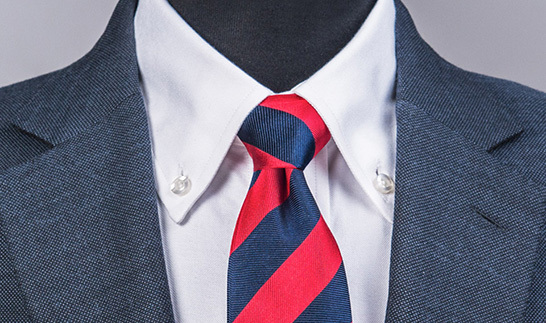 Adding an extra round to the four-in-hand gives the knot greater fullness and volume while retaining its characteristically asymmetric appearance. Whether you decide for a single or double extra is a matter of taste, but it might be a good idea to test a double if the collar has a wider spread such as the cut-away collar for example. Do not forget the importance of the dimple under the tie knot that brings life into the tie. 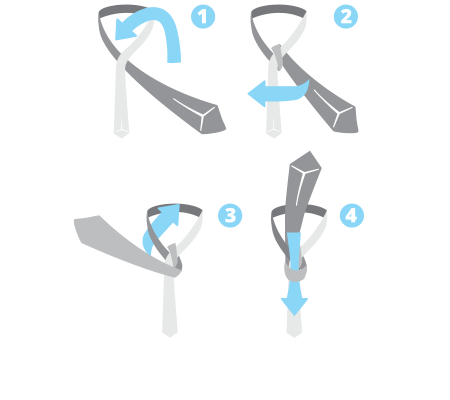 This is achieved easily by tapping the little finger in the middle of the tie while tightening the knot. 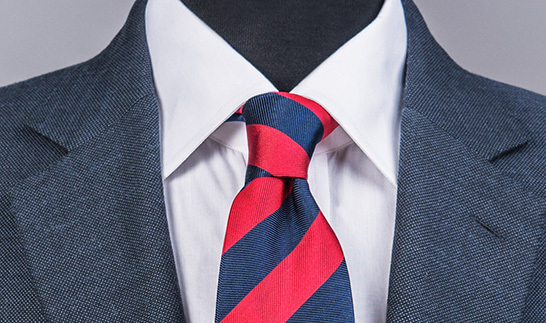 The classic Windsor knot is symmetrical and wide. Neat and great, but perhaps a bit formal and dull with its simple triangle shape. Suitable for collars with more spread such as the cut-away. As the knot takes up a bit more space, it is particularly suited for people with a slightly larger face. 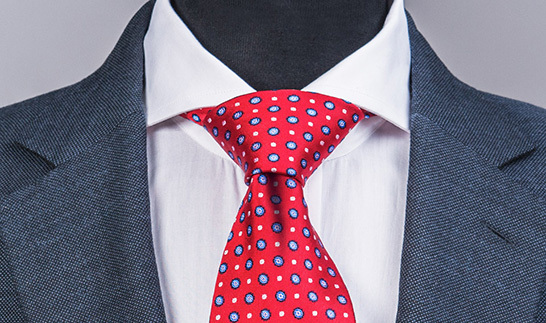 Keep in mind that this knot has a wide shape and thus a tendency to make the neck appear shorter. The Windsor knot looks best with somewhat narrower ties. A medium-sized knot that goes with everything. 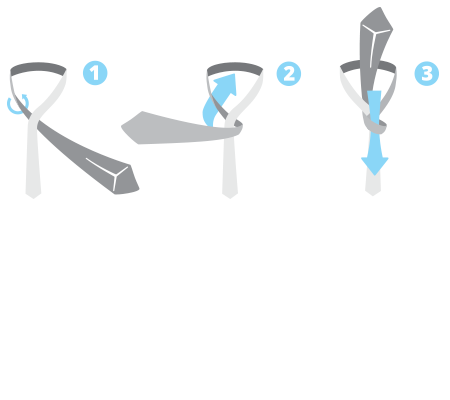 By skipping one loop in the classic Windsor knot, you will get a slightly smaller knot that is still symmetric. This tie knot is very useful and suitable for most collars and tie types. The perfect option for everybody who wants to enhance a look without standing out too much. 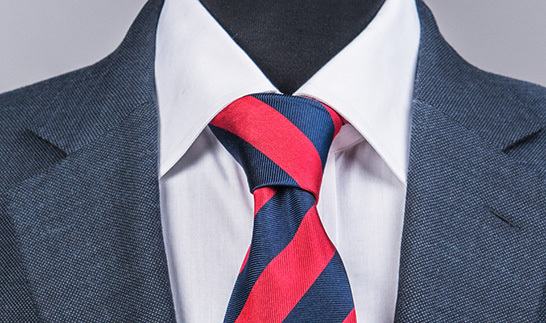 This is a versatile tie knot that resembles a half windsor in its construction. It is medium sized and not as voluminous, and therefore well-suited for the button-down collars, but also fits nicely to a standard business collar or a spread collar. Since the size of this knot is not too exaggerated, it fits well for a person with a smaller or medium sized face. With a Pratt Shelby, the dimple ends up naturally where it is supposed to be right under the knot. As simple as ingenious. The knot is small and narrow when tightened, but appears fuller when tied somewhat looser. The sleek dimple below the knot comes naturally and gives the knot a special character. Goes well with most collars depending on how hard it is tied.